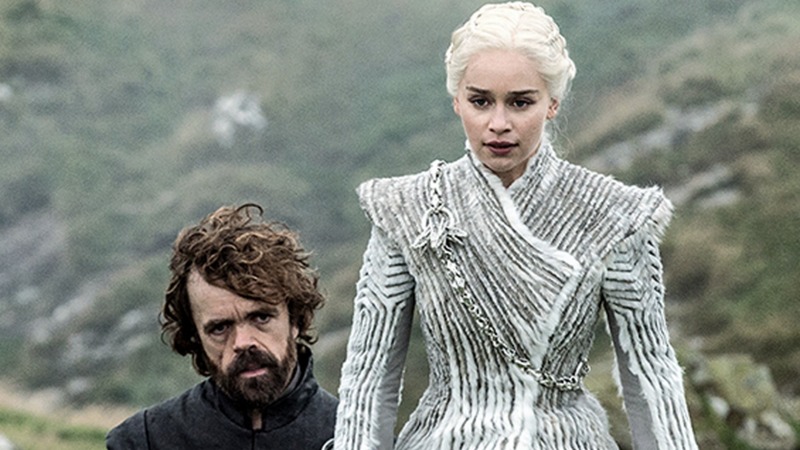 Being a Game of Thrones fan is becoming nearly as excruciating as the HBO series’ notorious torture scenes — and the agony has everything to do with anxiously awaiting the eighth and final season. Although previous intel suggested that fans might be tuning in come April 2019, the latest speculation is that the wait will be even longer. It’s not as though GoT fans lack patience. Outside of whiling away our time in between seasons, we’ve been relatively relaxed for the roughly 1,000 years (just an off-the-cuff approximation) it is taking GoT author George R.R. Martin to reveal his sixth book, Winds of Winter. The series' seventh season premiered in July 2017, meaning it’s already been over a year since fans have gotten their fix of new GoT episodes. Could we really have to wait even longer than anticipated to tune into the last season? Possibly. In an interview with HuffPost, GoT visual effects supervisor Joe Bauer certainly seemed to imply as much. “In two years, we’ll be eligible for the Season 8 work, which we’re just beginning now,” he said of the show’s Emmy considerations. Wait, did he just totally gloss over the 2019 Emmy season? By saying the show will be eligible in two years, Bauer suggested that Game of Thrones won’t qualify for the 2019 deadline of May 31. If most of the season’s episodes air after that date, GoT would be ineligible for next year’s Emmy contention. Hypothesizing a timeline based on Bauer’s comments leads us to believe that GoT’s final season won’t premiere until June or even July, the same month last season premiered. In short, don’t hold your breath for that April 2019 premiere… but just know that it's possible. Winter is still coming. It might just be in, you know, late spring or summer.